Nox App Player is a popular Android emulator for Windows PC and macOS Mac computer that allows Windows and Mac users to run Android apps and games on their machines without the need to purchase an Android smartphone. Nox automatically installs Android KitKat version 4.4.2 which was initially released in 2013 and is really showing sign of aging. Nox App Player 6, or Nox 6, has included the support for Android Lollipop version 5.1.1 which was initially released in 2014. Though Android 5.1 is just a year newer than Android 4.4, but some apps and games may just need that newer version to work, in addition to the fact that Android Lollipop has better security features too. Before you use Nox App Player to run Android 5.1, be warned that Nox defaults to Android 4.4 for the obvious reason that Android KitKat runs best and most compatible in Nox App Player emulator with satisfactory performance without constant lag. If you absolutely need Android Lollipop, this tutorial shows you how to get Android 5.1.1 running in Nox App Player. 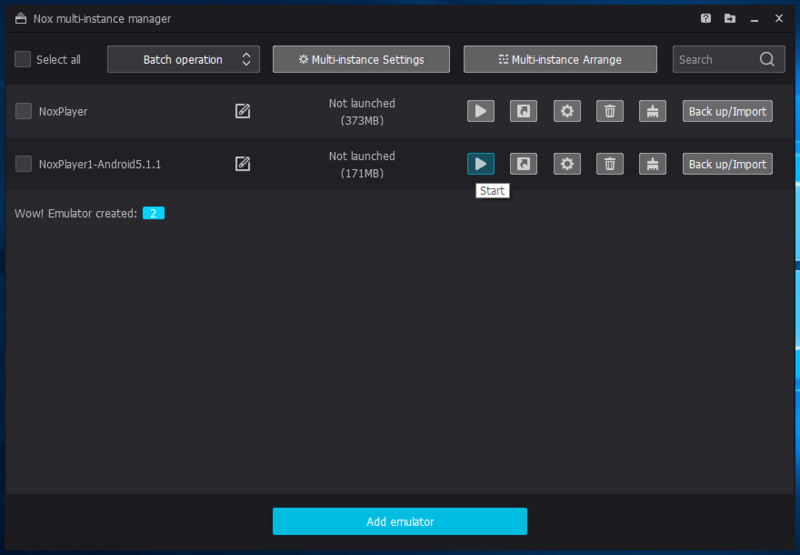 Download and install Nox Player 6.0 from https://www.bignox.com/ (upgrade if you’re using older version). 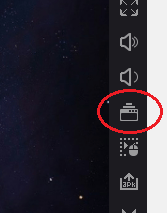 Open the Nox Multi-Instance Manager by running the Multi-Drive shortcut on Desktop, or clicking on Multi-Instance Manager button on the toolbar (or by pressing Ctrl + 8 keyboard shortcut) in Nox App Player, or opening MultiPlayerManager.exe executable from the Nox installation directory. Click on Add emulator button at the bottom. In the drop down menu, select New emulator-Android5.1.1“. A new instance of Android emulator running Android 5.1.1 Lollipop (normally named as NoxPlayer1-Android5.1.1) will be automatically downloaded and installed. Click on Create shortcut button next to the new Android 5.1 emulator to place a shortcut on the Desktop which you can open directly. If you run Nox App Player from the existing shortcut that was installed by Nox setup installer, the emulator instance with Android 4.4.2 is started. You can delete the Nox instance that you don’t use away. That’s it. You can now enjoy Android 5.1.1 Lollipop on Nox App Player.